Our second visit to the Chatsworth CC site, the first being a little bit earlier last year. Last year Chatsworth house was closed, but we made sure it was open this time! More and more sites seem to be introducing a "no arrivals before 1pm" policy, which makes sense to us, but today we discovered the downside...a queue of caravans waiting to get in at 1.15pm. There were about 6 in front of us, which meant check in took quite a bit longer than normal. This panicked us into selecting just about the first non awning pitch we came to. We're not sure about this site, the pitches seem to be very close together and the one we selected backed onto another pitch, so we had a motorhome in front of us and another one behind us. We like to be tucked away in a corner. It turned out to be quite a long way from the toilets, too! Quite a lot of interest in our replacement bird feeder (having left the previous one behind on our last trip) but no new birds. After setting everything up we decided to go for a stroll in the grounds of Chatsworth house. This site is actually in the grounds and access is by way of a locked door, making the site seem like a secret, walled garden. We ended up in the village of Baslow, which has a couple of nice but not very cheap pubs. 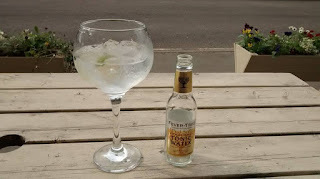 £13.60 for a pint and a gin and tonic! 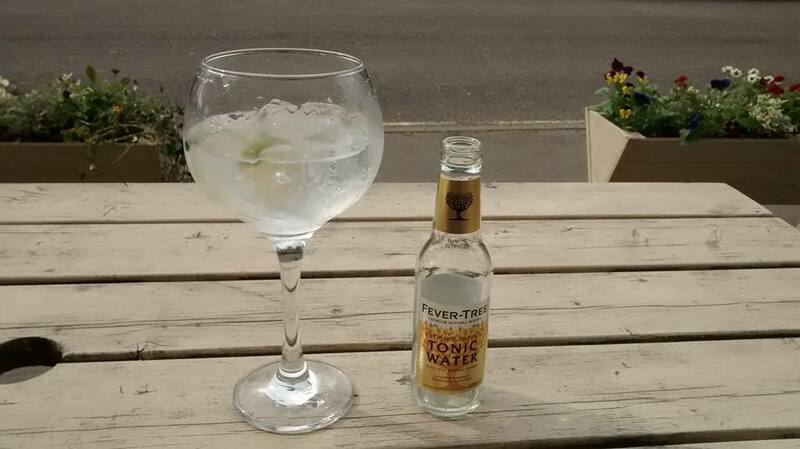 Just one gin and tonic for J, before switching to a half of lager. The sudden craving for gin and tonic is from our recent cruise around Italy, it was our drink of choice on board the ship. We got back to the site around 6pm and had our first barbecue of the year. The main reason for coming here was to visit Chatsworth hours, so that is what we did. We had thought about booking tickets online but were glad we didn't, as CC membership entitles us to £6 off, each. The maze...much harder than it looks, we might never have made it if it wasn't for an aerial pic on J's phone! We lazed around the caravan in the afternoon, and then, ignoring the warnings of heavy, thundery showers, we went for a walk along nearby Curbar and Froggett edge's. Well, you didn't think we would get through the whole weekend without any rain, did you? The heavy rain, thunder and lightning never really arrived, although we did have to put on waterproof coats. Not many people around, although it must be a popular place...there was an ice cream van in the car park when we arrived. Got back to the caravan around 8.30pm and stayed in for the rest of the night. A gripping Archers omnibus, and Tom Hanks on Desert Island Discs, helped the journey home. Nothing booked, but we will get away again in a couple of weeks, before the next bank holiday.